Meet Will Kemp: celebrity comedian and superstar of the Elizabethan stage. Kemp crated many of Shakespeare's comic roles but there is something is rotten in the relationship between writer and performer. Kemp craves opportunities for his comedy dog and clowning routines. kemp's Jig recounts his adventures along the journey from London to Norwich in 1600. 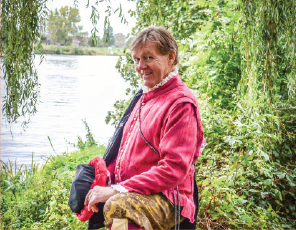 Fans of 'Shakespeare In Love' and Upstart Crow' will cheer the maverick Kemp on his way.